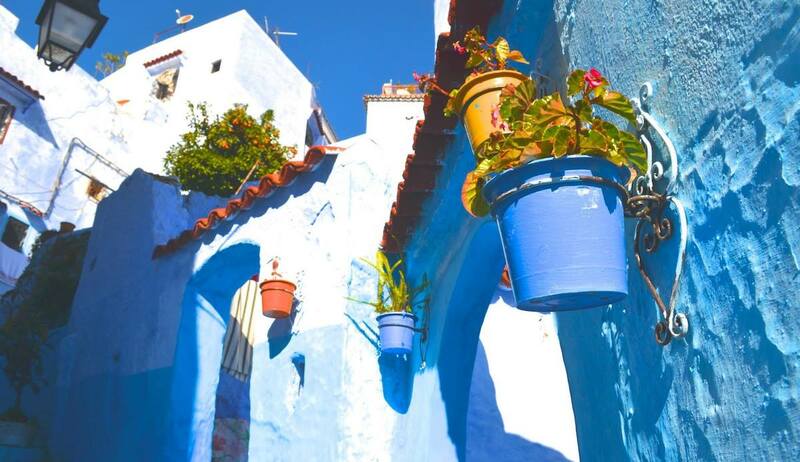 Rabat - Featured repeatedly on top tourist sites such as Lonely Planet and Trip Advisor as a multifaceted travel destination, Morocco’s “Blue City” has mesmerized Moroccans and tourists alike for ages. 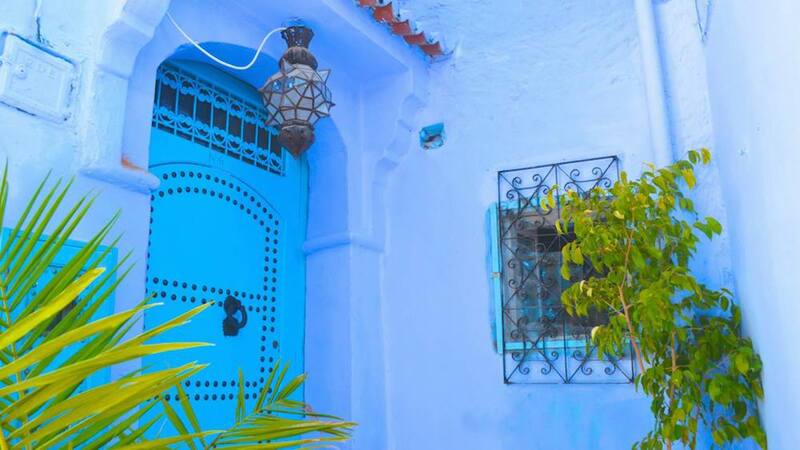 Rabat – Featured repeatedly on top tourist sites such as Lonely Planet and Trip Advisor as a multifaceted travel destination, Morocco’s “Blue City” has mesmerized Moroccans and tourists alike for ages. 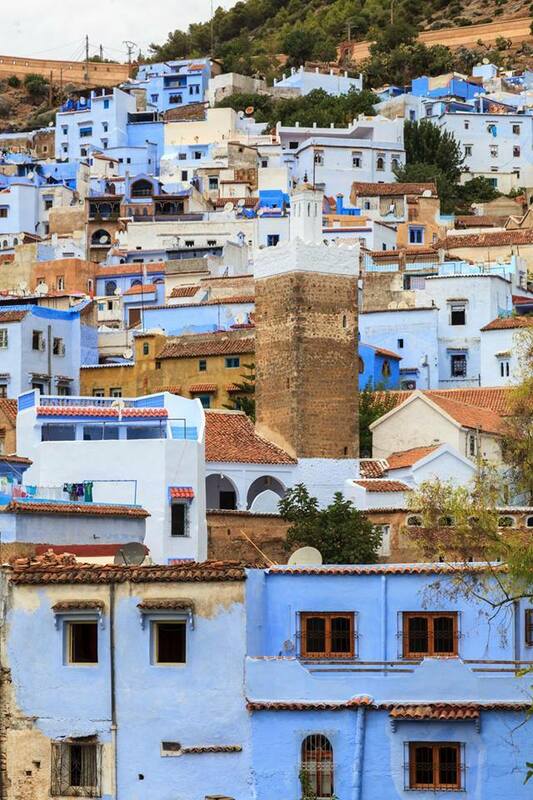 Chefchaouen, better known as Chaoen by the locals, offers stunning views of the Rif Mountains, adventurous hikes to Mother Nature’s hidden masterpieces, and a medina adorned with shops selling jewelry, trinkets, pottery, and everything else a curious traveler could ever need. 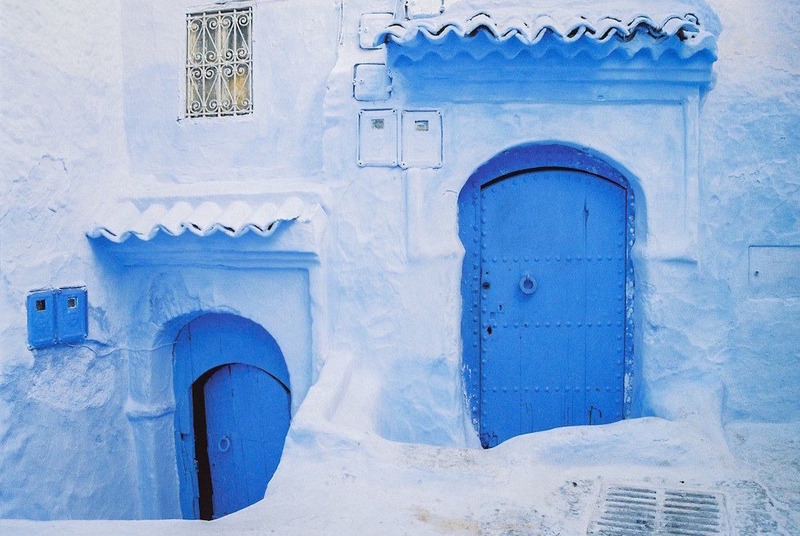 Nestled in a powdery-soft blanket of blue hues, is a hot spot for tourists and it’s not hard to see why. After just a few minutes in the quiet town, visitors are greeted with a view of two massive mountain peaks hugging the village. 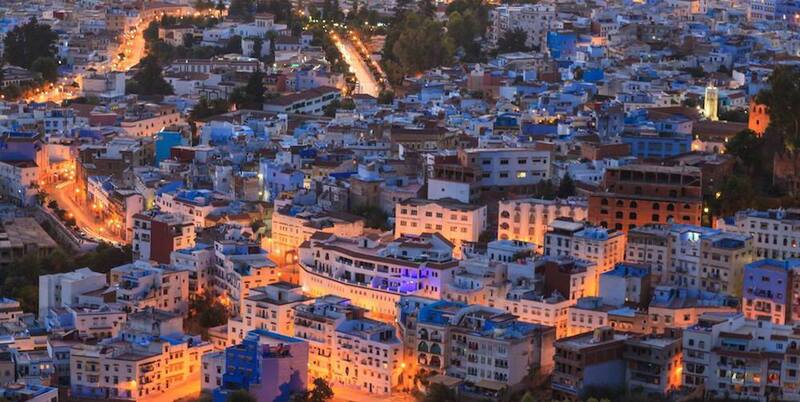 These are known as the Ech-Chaoua, or “the horns,” from which the town gets its name. Divine is only one of the many words fit to describe the enchanting town, seeing as there are dozens of hand painted murals around every corner and a special story behind each one. 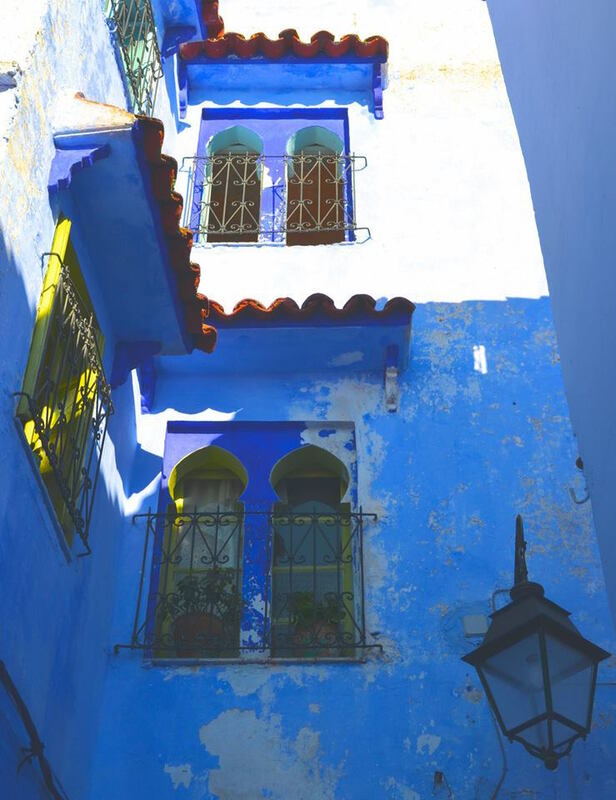 While tip-toeing through the steep sky-colored alleyways of the medina or “old city,” one can’t help but peer into open doors and windows and wonder, “who lives in this magical town?” almost expecting a shimmering fairy to flutter out from behind the cracks. 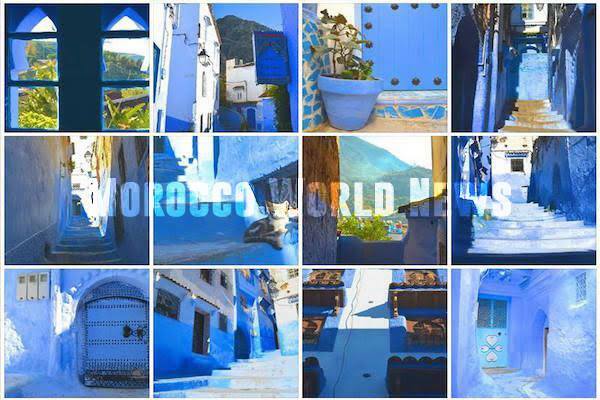 But although Chefchaouen looks and feels like a faraway fairy tale town, it offers many exciting adventures for those looking to lace up their hiking boots. 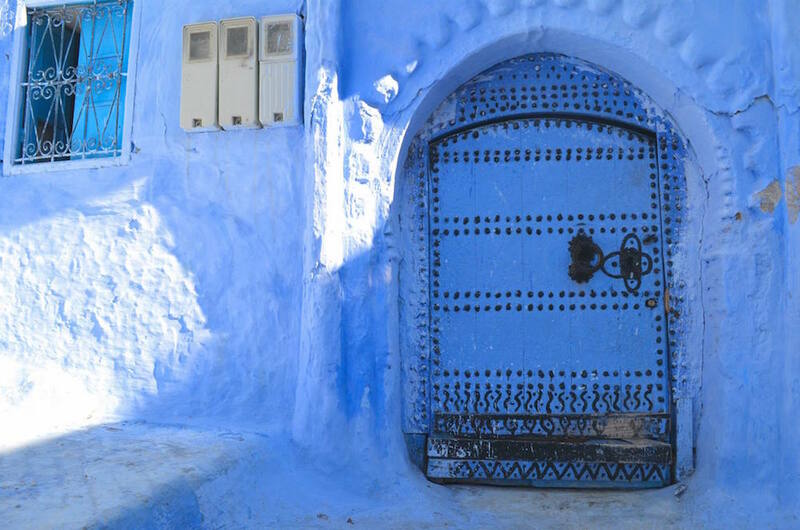 Besides the short twenty minute hike up from the medina toward the famous Spanish Mosque overlooking the city, travelers may tackle the bumpy trail toward the Akchour Cascades or God’s Bridge, both located about a forty minute taxi ride up the mountain and a two hour hike on foot from there. According to visitors, the trail is a rough one, but well worth the trouble. 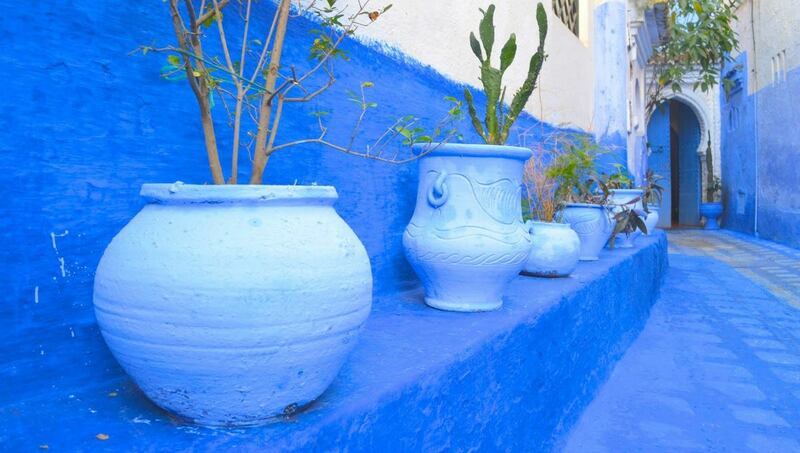 “I’ve been on hikes all over the United States and none of them come close to what I saw outside of Chefchaouen. The water was so clear; we couldn’t tell if it was a foot deep or ten meters deep. Steep, red-brown cliffs splattered with trees and moss and plants lined both sides of the creek. This is the kind of place you read about in a National Geographic magazine but never actually see,” says 21-year-old Molly Conrad, who recently visited God’s Bridge. 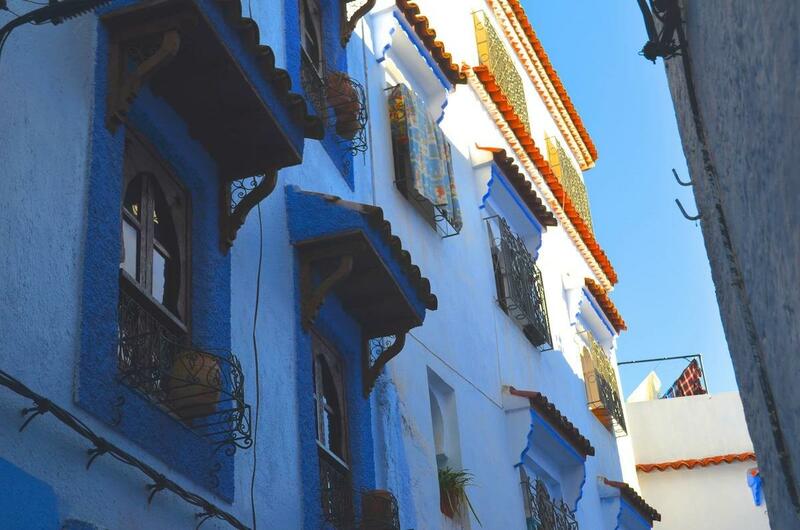 For those visitors less keen on thorny bushes and freezing cold water, the heart of the Chefchaouen medina offers many a café stocked with traditional Moroccan dishes such as Tajine, Harira, and Couscous if it’s Friday. Visitors of the central plaza will also come across tons of shops, local entertainment from youngsters looking to attract a crowd and earn a few extra dirhams, and of course, a breathtaking view of the mountain. The plaza is also known to host events throughout the year, such as the recently held National Meeting of Arts, Caricature, and Media, where caricature artists from Egypt, Spain, and Morocco welcomed visitors to take a seat and have their portrait drawn for free, according to Menara Magazine. 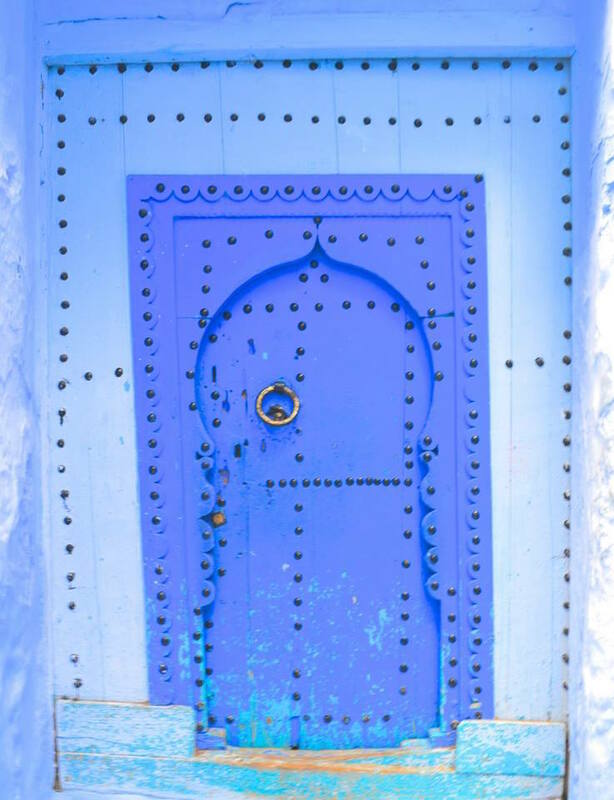 Chefchaouen offers something for everyone—the adventuring group of hikers, the daring foodies, the artists looking for inspiration, the shopaholic, and with the ability to mesmerize anyone for hours with its dazzling and unique architecture, the lone wanderer as well.